Bergamot, Geranium, Marjoram Sweet and Chamomile German. 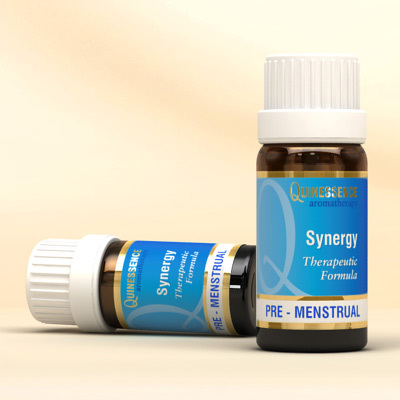 Harmonise your emotions and liberate irritability with this soothing and balancing Synergy for use just before, and during the feminine cycle. Use it in the bath or add to a carrier for a comforting abdomen massage and to help maintain the smooth course of your period.